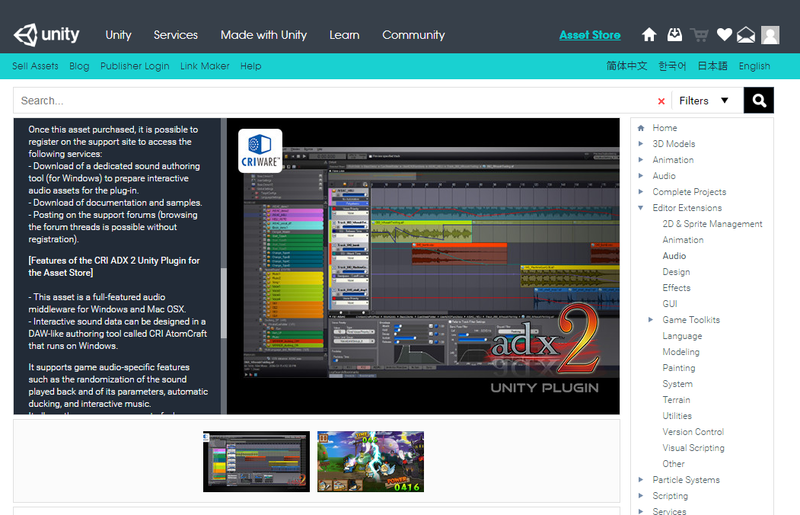 We are pleased to reaffirm our commitment to the indie game developers community by introducing the new CRI ADX 2 Unity Plug-in for the Asset Store: https://www.assetstore.unity3d.com/en/#!/content/100086 . 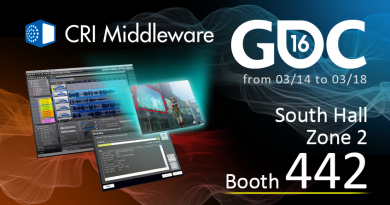 This plug-in is based on ADX2, CRI Middleware’s renowned game audio middleware used by more than 3700 games worldwide. It offers an easy way to access the advanced game audio features of ADX2 at an affordable price. 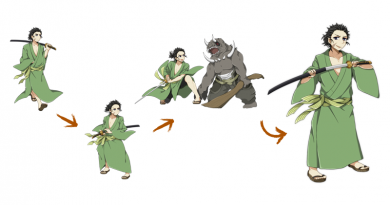 It is available for games running on Windows and Mac using the Unity game engine. The ADX2 plug-in can be used for commercial game development by all Unity developers, whatever the size of your project and your team, and there is no licensing cost other than the initial purchase price of US $99 in the Unity Asset Store. Once the ADX2 Unity Plug-in purchased in the store, you can download the corresponding authoring tool from our support web site: http://unityplugin.crimiddleware.com/?lang=en. 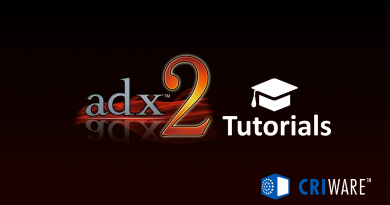 This web site also provides a wealth of information on ADX2, how to get started and a forum to ask technical questions and interact with the community, and more!